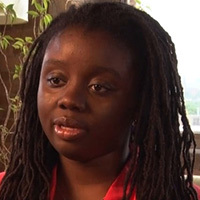 Rose Afriyie is co-founder and Executive Director of mRelief. The nonprofit has built an easy-to-use tool on the web and SMS to connect low-income Americans to the most important social services, like food stamps. Her nonprofit mRelief is on track to connect more than 100,000 families to social services in 2016. She worked as a Marketing Associate for Google where she co-produced Oprah Winfrey’s first Google+ Hangout and President Obama’s annual State of the Union Hangout. She interned in the Domestic Policy Council of the White House during the passage of the Affordable Care Act. She holds a Master of Public Policy from the University of Michigan. Rose is a lifetime learner of Ruby code that enables her to make things that decrease the digital divide.